"Can you be the master of the barbecue?" 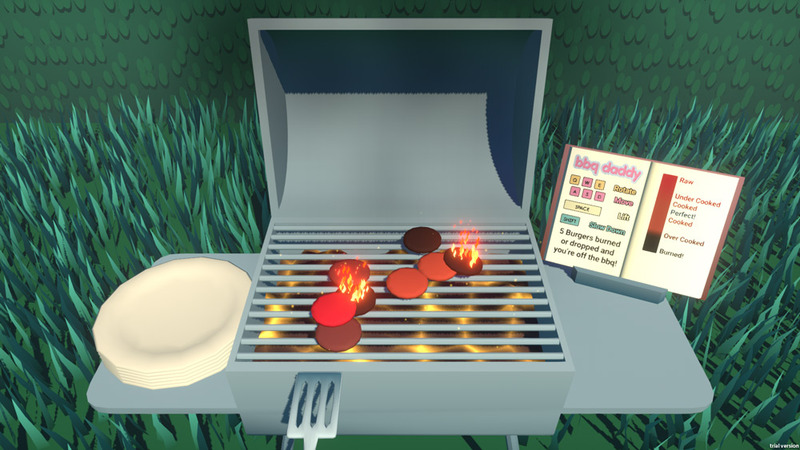 BBQ Daddy is a fairly straight forward looking simulation game where you play as a one of many dads trying to be the king of the BBQ and to do this you must try and cook as many burgers as possible to perfection. It sounds simple enough, however the controls for moving, rotating and flipping the burgers using the spatula are incredibly complex and becoming used to them is a huge challenge in itself and this is where the objective makes the game very difficult because if you burn more than 5 burgers another one of the dads will take over and not only will it be game over you will also have to face the shame of not being able to work a BBQ properly! The graphics are very simple and there isn't much in the way of sound except for the occasional other dad telling you to improve your cooking or be removed from the grill, however if you are looking for a game that si straight forward yet also very challenging then this will certainly meet those requirements. 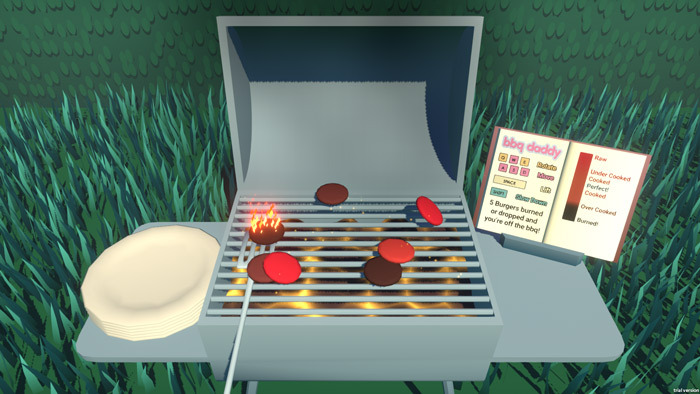 A fun game to challenge you friends to see who can last the longest on the grill but perhaps not the most engaging of simulation games. You can download BBQ Daddy here for free.